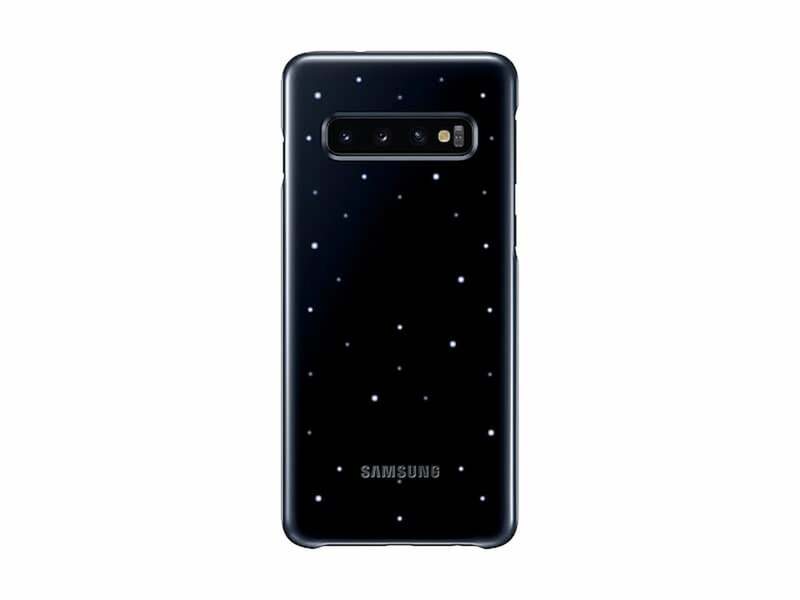 Samsung not only added new technology and features to the Galaxy S10, but also in the Galaxy S10 LED case. With LED lights embedded at the back, the case offers several customization options. Though it is an attractive and useful case, some users lately have complained that it is not working as intended. Samsung’s Galaxy S10 LED case is much more integrated with the handset than those with the earlier generation Galaxy models. The phone automatically recognizes the case once it is attached. Also, the case allows users to choose from “Moon lighting” effect or other animated LED icons. Once the LED icons are on, users will get a notification. Also, users are allowed to toggle through the icons from the notification itself. The case will notify users of incoming calls, messages, current time and more. “Get notifications with the colorful LED display on the LED Back Cover. You can even assign custom icons to your contacts for a fun spin on caller ID,” Samsung says. Further, Samsung allows users to create custom LED icons for events and contacts. Also, there is a sensor that controls how much LEDs illuminate “based on battery life of the phone,” the Korean firm says. Despite having so many features, some users, it seems, are not happy with the case. Users say that the LED effects only stay on for a few minutes, and that there is no option to control how long the effect stays on, according to tech site PiunikaWeb. Affected users took to social media platforms and Samsung’s U.S. Product forum to complain about the issue. “The LED Cover seems to turn the app to the ‘off’ state at random times. Can’t get it to stay on 24/7. Anyone else experience this or know of a workaround to keep it on all the time?” one user said on Reddit. Users say when they reported the Galaxy S10 LED case issue to the support team they didn’t get any clear answer. The users said that even the support team wasn’t aware if it is an expected behavior or an issue. Some users, who were able to get their S10 case replaced, faced the same issue with the new case as well. “So I went into the Samsung store in Trafford, Manchester and they said they also didn’t know for sure but it made sense that it shouldn’t turn off as it’s supposed to interact with calls, texts etc… They said they would get back to me and never did,” one user said on Samsung’s EU community forum. Further, users say that common workarounds like turning on and off the safe mode, disabling the battery saving mode or toggling NFC settings are not addressing the issue. The only way to turn on the effect again is to go back to Settings. From what users say it seems there is some kind of issue with the Galaxy S10 LED case. However, Samsung support is unsure if it’s an issue or intended behavior. Additionally, users say that they also can’t find the features such as contact specific icons. Possibly, Samsung will add it and also fix the issue with the case with a future update. Apart from the above mentioned issue, the Galaxy S10 case suffers from one known issue as well. This known issue is that the NFC won’t work when the LEDs are on. It is not an issue, rather a limitation of the Galaxy S10 LED case. It means that as long as the LED functionality of the case is used, you won’t be able to use the NFC feature on the Galaxy S10. Thus, no Google Pay, Samsung Pay or any other NFC dependent feature. Every time you want to use any of these features, you will have to go to the LED cover menu and then turn off the lights. Why did Samsung do this? There are chances that the power used to make the LEDs work was possibly interfering with the NFC signal. So, as a precaution, Samsung disabled the NFC completely when the LEDs are in use.